Rio de Janeiro, Brazil – This weekend Royal Philips (NYSE:PHG, AEX:PHIA), the global leader in lighting, kicked off a new initiative with KNVB (Royal Dutch Football Association) - a series of six football clinics held at Philips Community Light Centers across Brazil during this summer’s football tournament. 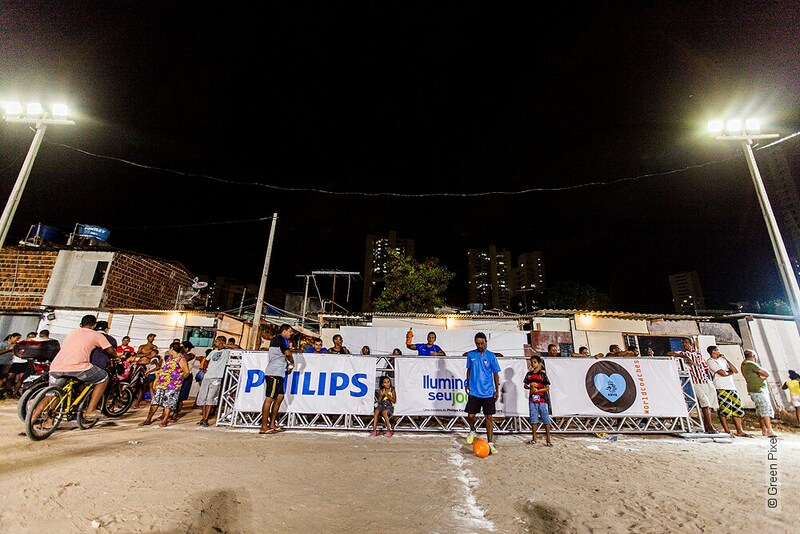 Philips and the KNVB WorldCoaches have been working together since 2012 in delivering the Community Light Centers. 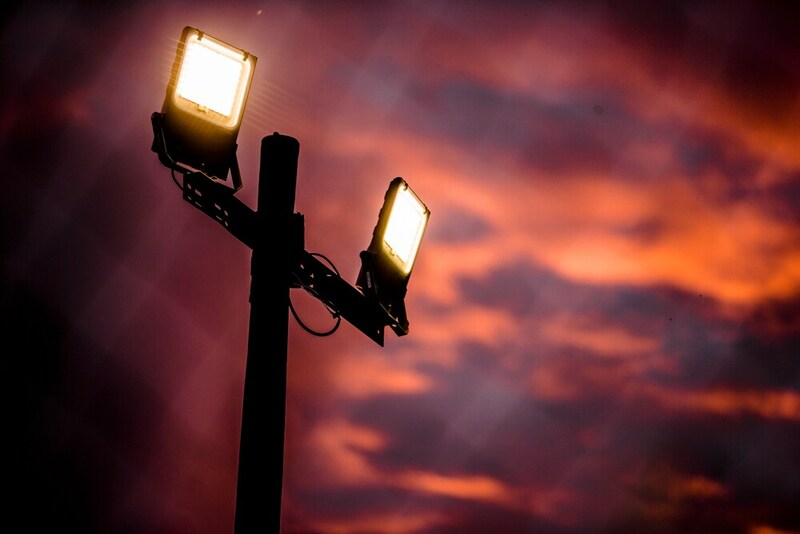 These are areas of land, roughly the size of a small soccer pitch¹, that are lit by Philips LED flood lights. The illuminated areas provide a focal point for the community, allowing people to come together and enjoy playing football, whether it is school children playing after school or two neighboring villages. KNVB’s WorldCoaches aims to use football for social development. By nurturing the football coaches of tomorrow, this program hopes to guide children who are exposed to issues such as violence, gangs, poverty and drug use to a different way of life, both on and off the pitch. The clinics will be led by ambassadors Aron Winter and Pierre van Hooijdonk, both Dutch ex-internationals. Philips is rolling out the Light Centers across Latin America and the Caribbean, focusing on poor areas, including those with no access to electricity. The Centers will help thousands of people extend their day long after the sun has gone down. 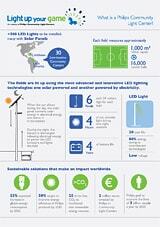 This latest initiative follows the successful rollout of Community Light Centers in Africa, also involving KNVB. 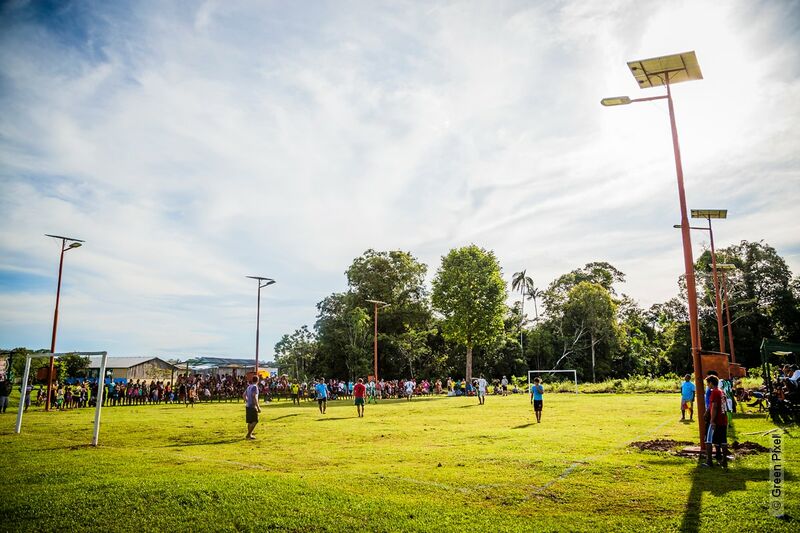 Committed to installing 30 Philips Community Light Centers across Latin America, Philips began by focusing on Brazil which has 21 in total, five of which will be LED solar-powered with another 16 using “on-grid” solutions. Of particular focus is supporting the communities in the favelas. There are estimated to be 31 million people across Latin America and a staggering 1.6 billion people worldwide that have no access to electricity². For communities living near the equator, dusk settles around 7pm all year around, slowing down and even stopping many vital parts of life. 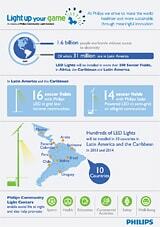 The Philips Community Light Centers take a piece of land that is important to a community and transforms it with light. 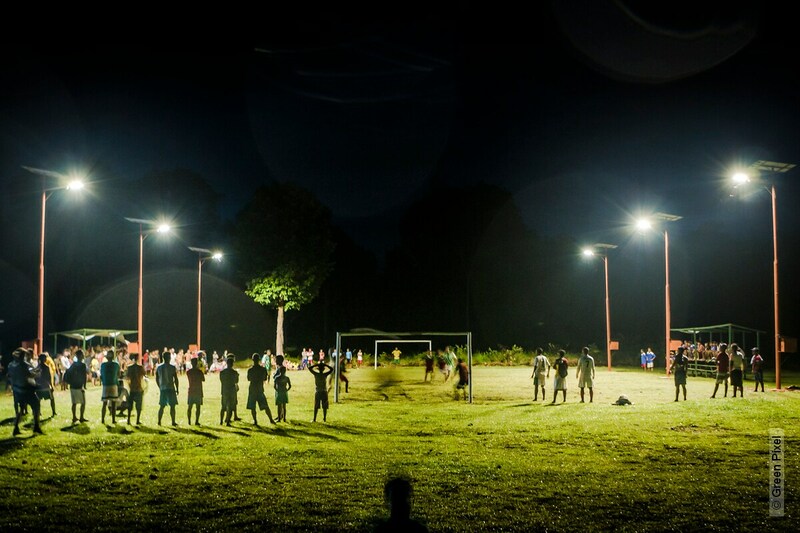 Through the use of solar technology and energy efficient LED lighting, Philips’ Community Light Centers allow the people in the community to socialize, trade, play sports and read books long after the sun has gone down, thereby extending their day. Four hours of Amazonian sun are enough for the lighting system to work for four nights. “By teaming up with the KNVB, we are able to combine our efforts to help more developing communities across Africa and South America” said Henk de Jong Chief Executive Officer, Philips Latam America. “Together we now have a really exciting opportunity to demonstrate the power of football and technical innovation to the world. We consider this a great proof point of Philips providing locally relevant solutions in growth markets and improving people’s lives”. 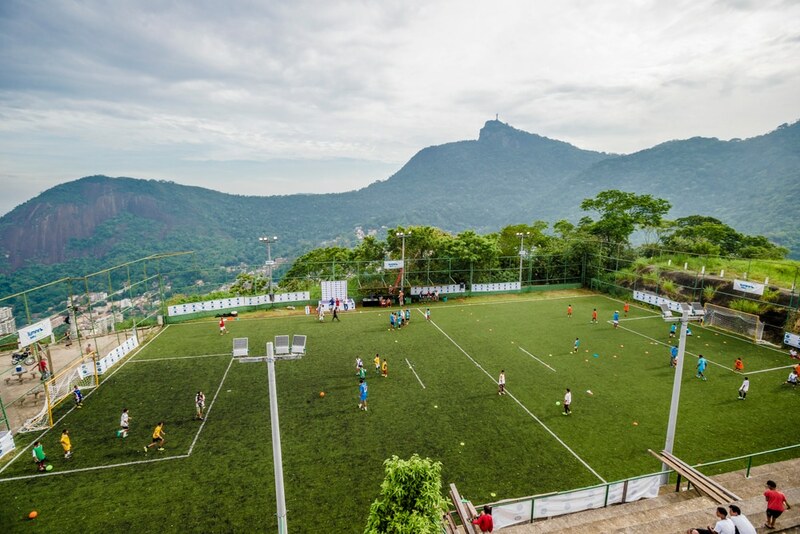 The KNVB will also be donating a mini field together with its partners to a public school in Rio de Janeiro later this month. Artificial turf specialist Edel Grass is sponsoring the turf for the field and Royal Philips is donating its latest LED lighting. The Dutch national team and KNVB sponsors ING, Staatsloterij, PWC, Unit 4, Nike and Radio 538 are also contributing to the project to deliver a joint social investment in Brazil. The Dutch Ministry of Foreign Affairs and Olympic partners enhance the impact of this initiative by adding a running track to the pitch.